Take this quiz to find out your superhero workout! Have a personal trainer in your pocket 24/7 to effectively plan your workouts, guide your nutrition habits, and keep you accountable in your own space at your own time. Precision Nutrition Certified Coach, StrongFirst Certified Instructor, and National Academy of Sports Medicine Certified. Training programs based on the specific results you want to achieve. Fully customized training, designed just for you. Personalized workout programs and nutritional guidance for your body-type and lifestyle, all at the end of your fingertips delivered straight to your smartphone. I’m social. Don’t be shy! Felt cute, kettlebell agreed. Not deleting. In my experience as a personal trainer in New York City, I’ve noticed something most of us have in common pretty consistently. We are all BUSY, busy, busy people. Whether it’s work, school, family or juggling a combination of the three, it becomes increasingly difficult to find time to go to the gym, figure out your routine when you get there, shower, go home, eat, cook, clean, get the kids ready for bed, make sure that deadline gets submitted on time, and all of the thousands of time consuming ingredients we can put in this overwhelming cocktail of stress. How can you possibly add fitness to your already complicated life routine? The answer is online training. Online training is here to simplify your life. The last thing I want is for fitness to become the most complicated aspect of your life, but rather it be so easy you have no excuse not to do it. 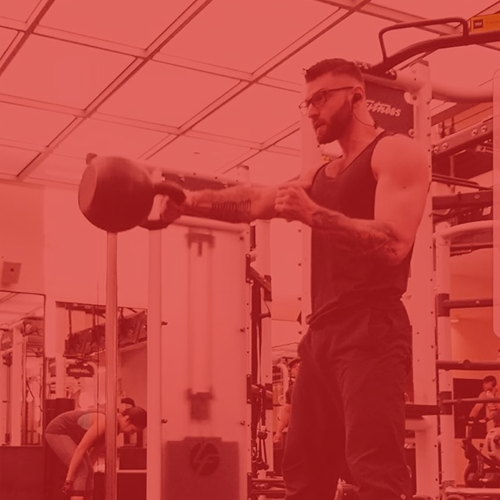 Personalized workout programs tailored to your specific situation, nutritional guidance for your body-type and lifestyle, and a qualified coach you can communicate with ease and transparency to troubleshoot any obstacles that may occur, all at the end of your fingertips delivered straight to your smartphone. The burden of combing the internet for workout programs, diet plans, and form checks are over. My name is Michael Monti, and I’ll be your coach. Becoming a PN Coach turned one of my biggest weaknesses into one of my biggest strengths, nutrition. Precision nutrition has armed with the knowledge and understanding of the food we eat, nutrition behaviors, grocery shopping, and how to plan and track your nutrition goals. Through Strongfirst I received my certificate of education and instructor with kettlebells. Using kettlebells as a strength and conditioning tool has revolutionized my training for my clients and myself. Whether increased strength, muscle mass, fat loss, or sports performance, the kettlebell is a quality tool to facilitate your progress in all streams of fitness. Through NASM I established my base knowledge for becoming a fitness trainer. Learning anatomy, biology, functional movement, and how to program clients effectively and safely, I’m well equipped to handle majority of clients goals with this knowledge.